National’s support slid from 50 to 45 per cent in a Fairfax Media-Nielsen poll released today. Labour jumped four to 40 per cent from Fairfax’s September poll, close to the 41 per cent it scored in the 2005 election. There is also surprising opposition to tax cuts – despite Labour’s move to neutralise National’s appeal with a promise to cut personal taxes. Asked if surpluses should fund tax cuts or be invested in public services like health and education, only 25 per cent said they wanted tax cuts, against 58 per cent who wanted the money invested. That’s very interesting. Tax cuts are a harder sell, since having some more income left ‘in hand’ really doesn’t seem so worthwhile compared to the fear of having to pay towards huge health and education costs. I’m a solid tax cut advocate and I can still see that. I think the poll reflects this. The main issue is… could we spend much more on health on education and get a benefit out of it? If we can, then it’s not a surplus anymore. Very few people would argue against money getting well spent on health and education. This goes to the recent thread on society benefiting overall from a healthy and educated populace. On that thread I talked of ‘best of both worlds’ and most would agree this is one of those. However, it’s very undesirable to take excessive tax and then spend it without getting anything much from that spending or (worse) just sitting on it and not spending it at all. The large size of the current surplus and the reducing returns Labour has been getting from its spending increases indicates we are at this point. At some point, the system and the users of the system are more efficient if the user has a stake in it (e.g. a student is motivated to finish their degree faster if they have some input to paying for their education) and so we reach the point to channel money back to the taxpayer if more than is required is being taken to fund the public contribution. People might choose “better health etc” over “tax cuts”, but if the choice is between “spending more on health etc and not getting much out of it” and “tax cuts”… then they’d choose tax cuts. “Today’s poll shows that National would run into opposition if it pressed ahead with the partial sale of state assets even if, as suggested, some of the money was used to fund infrastructure development. Only 34 per cent of voters support the proposal, compared with 56 per cent who are opposed, including 49 per cent of National voters. A further 11 per cent of voters don’t know. The first para should be enough for National to kill off any further mention (but not any intention) of selling. They’re scaring their own voters. No boost for Winston, then. He’s never going to get traction on NZ First issues while constantly shifting from demagogue to diplomat and back again. Every time he makes an old-style Peters speech, he follows it up by leaving the country. But basically the poll reminds us (yet again) that to the public, soap opera issues mean diddly squat, real issues matter. Media take note (some hope!). I’ve gotta say I pretty much agree with most of what you’re saying Camryn except I don’t think sitting on a surplus is a bad thing if it’s done to keep some heat out of the economy and to ensure there’s something in the bank to stimulate the economy through a downward cycle. Cool. I can hear that too. I’m generally not a fan of too much ‘pulling of levers’ but if the government just happened to decide to invest in fixing our horrific infrastructure at a time that the economy needed a boost then it’s no bad thing. i’m inclined to agree too camryn, robinsod. the majority opposition to tax cuts suggested by that poll is not unusual, that’s a pretty typical NZ value when tax cuts are contrasted with public services. it’s when you just ask people if they’d just like tax cuts (Y/N) that you get majority support for them. I’ve said before that I don’t get too excited about polls, especially this far out from an election. But I find the “surpluses should be spent on” results tremendously heartening. Good on ya NZ. And while its true that there isn’t any point spending money (e.g. on health, education) for zero return, I don’t think that that is even close to the case. For a start, these services have to run pretty hard just to stand still (spend lots of money just to keep up with technology, demand, inflation etc). But they are doing more than stand still, there are tangible advances. We are getting results for our money. And this poll suggests that the majority of NZ appreciates that. Yeah! Are tax cuts a beltway issue? It is not, I would suggest, a poll indicating that people approve of the existence of a surplus, just for its own sake, or that they approve of the fact that such a large one has been accumulated. Rather it is a signal that the Government should stop sitting on the cash and give it back to those who earned it for them in the first place. Actually the clearest message – by a large margin – is that the people want to keep the things their tax dollars have bought. Not sell them. It’s good to have an alternative view though. And the party honestly offering that alternative have got 1% of the country supporting them. You know what? I’m sure that funding schools properly would have a bigger direct financial benefit to me than any tax cut whilst Cullen is at the helm. Currently, I’m having to pay probably $600-$700 a year in school fees, supplies fees etc etc for school (state school). Given that Cullen will insist on spreading tax cuts so thinly that those that don’t even pay tax will get a ‘tax cut’, I think I’ll be lucky to get $10 a week from him. Mind you the Herald will probably add a zero to that on Monday. 2000 people, a pile of whom are out of town carpetbaggers according to RNZ. Despite the perfect weather (what would have happened if it rained?). Despite Granny Herald getting DPF/National Party HQ to write their editorials for them and running a partisan scare campaign for a week. I’ve said all along the shrill extremism of DPF and the hollow men who pul his strings this issue has no reasonance with fair minded Kiwi’s. Our out of touch, ideologically extremist and hysterical white right blogging community have believed their own propaganda. Again. On one hand, you’re suggesting that the lack of locals means that people are apathetic. In the very same paragraph, your maligning the fact that out of town people came along. What kind of protest demographics do you find acceptable? Only ones where people are card-carrying unionists or labour party members? Spam: I find it interesting that so many can afford to travel to Auckland for a Godwin stroll along Queen street. Says a lot about the demographic IHMO. I didn’t say people were apathetic, I am saying this whole manufactured controversy doesn’t exist outside the heads of, oh, as many as 2000 people. Afford to travel to auckland? Hardly costs much. If they can’t afford it, TomS, its probably due to the increased petrol taxes. Is keeping people so poor that they can’t afford to protest official labour party strategy? Gee…. need to get after increasing taxes & reducing benefits to those people who marched to wellington for the anti-terrorism bill. Is keeping people so poor that they can’t afford to protest official labour party strategy? I thnk it is sad that a political demonstration which states it is in favour of free speech, can attract so much derision. Interesting also that the ethnicity’ of the demonstrators was brought up as if that somehow ‘proves’ they are all bigots. I don’t recall any one making similarly negative judgements about the ethnicity of the recent hikoi. Is it ok to make racist generalisations about some, but not others? Just to underpin my remarks about the generalisation. If you can’t see why comparing any NZ PM to Hitler is “extremist” and “hysterical”, I can’t help you. but I didn’t, according to the article it was (perhaps) some members of the migrant community. Does that make it ok to denigrate them on the basis of their race? It is about a fascist Party member in Italy under Mussollini. One day he went into a cafe, and ordered a Trade-Unionist to put his cup of coffee on his head, so he do some target practice. You thnk the same didn;t happen in Soviet Russia, or under Pol Pot, or Mao Tse Dong? I see a lot of stuff bandied around, ‘hysteriacal’ extremist, nazi, etc. But my point is, this kind of stuff is not extremist. It is a manifestation of a healthy democracy. Far from ridiculing it, you should be attempting to listen, and stop with all the vile stuff. You have the liberty and priviledge of free speech. Why abuse it with thoughtlessness? Lee, protesting is most definitely “a manifestation of a healthy democracy”. And we’re living in one. But according to the hysterical critics the government control the media (who publicised the march), the police (who allowed the march), and so on. Coz we live in Helengrad. Saying “This is a bad law” is a reasonable argument. There are plenty of bad laws to debate. 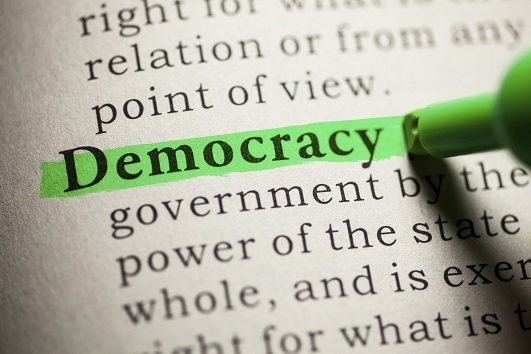 But saying NZ will cease to be a democracy – not a fringe view, but that of John Boscawen, the march organiser – is demonstrably false, and not worth taking seriously. It *is* extremist. Do you genuinely believe that the EFB betrays the people who died in two world wars, as was stated at today’s march? That’s just beyond bizarre, it’s totally off the planet. Do you genuinely believe that the EFB betrays the people who died in two world wars, as was stated at today’s march? Those people fouoght against fascism & tyrany. They fought for the rights of free speech. They fought for the right to have a government of the people, for the people. They most certainly did not fight to have partisanisation of electoral law. I agree, it is off the planet. But it does not make these people extremists. They have a view, and are allowed to express it. In the same way, the EB were entitled to express their views. And you are entitled to express yours. The EFB is a bad Bill, which has the potential to create and unworkable and corrupt electoral system. But saying that hasn’t obviously been enough. The continued attempts by the Government to sweep this under the carpet are in part responsible for the demonstration, surely? This is when you get ‘off the planet’ stuff, from ‘extremists’ as you might call them.. If only the government had consulted the public first. If only they had listened. And still no one is listening. Hence the demonstration. So Lee, did you join the march? I have a shop to run, It is a very busy time. And since our little boy came along, I can’t even get my wife to stand in for me. Otherwise, I would have been there with my duct tape (any excuse)..
Spam – perhaps you were there? No, robinsod, I wasn’t. You see, I don’t live anywhere near auckland. Doesn’t mean I don’t support them though. So you’ll be going on the Wellington one or the Chch one? Robinsod – stop being coy. If you want someone to go out with for a drink, just come out and ask. After we get the issues of an aging population coped with. One of the main reasons that I got interested in politics (it isn’t natural in my family), was looking at inter-generational debt. My teens were in the 70’s. During that decade I saw national superannuation being put in, which effectively transferred a known liability to the children born into the family after it was introduced. National super is paid for from the people who are active in the workforce via their taxes. Through my adulthood there has been a higher proportion of retired compared to working almost every year. That won’t stop until the people born in the 60’s and early 70’s hit retirement and start to die. Effectively this means that the couple of generations after me will have to pay higher taxes for a decision that my parents and grandparents generations made by voting for the Muldoon government. The 5th labour government has made a good start. They have gotten rid of all structural government debt – which was a hell of a job after Muldoon and his national government. They are putting aside about 25 to 30% of requirement for the retirement ‘hump’ in about 2030 in the ‘Cullen’ fund (whatever its real name is). They’ve restarted what is effectively the Kirk retirement system from the 70’s, which will (in my opinion) eventually in 30 years or so provide a basis for replacement for national super. It will also eventually provide a effective investment fund for the whole of NZ. However that still leaves a liability of about 60% of the hump super cost in 2020-2035. These are the people who relied on national super. We either save for that now or have increased taxation on a smaller taxable base then. My opinion on those 70’s voters is unprintable – it would have been a lot easier to start everything then than it is to try and correct for their errors now. Muldoon and those voters from the 70’s are like the mayflies in the national party now. Look at the balance sheet without taking consideration of forward liabilities – then vote ourselves a dividend. I don’t understand Lee – in what way was the select committee process not consulting the public? Didn’t you yourself make a submission? And won’t we be able to tell if anyone listened when we see the revised legislation? Not everyone! I’m with the 58% who would rather see public services. Though I do think that ranges should be adjusted to stop clobbering low and middle earners, and that cuts have become a political necessity. (Totally agree with the rest of your comments though. Muldoon – what a wally). rob as far as I am concerned the Select COmmittee was ‘eye-candy’. You do not actually ‘make’ the law by Select Committee, it is too easy to rig. you hae situations wherein the HRC and Law Society are ignore, Grey Power sidelined but the ‘darling’ of the left Nick ‘Hollow Men’ Hager’s submissions are touted round as ‘proof’. Hager’s submission (have you ead it?) damned the present EFB with faint praise, and took up a lot of time discussing hypotheticvals and in some case stuff he ‘I don;t have actual concrete evidence, but am pretty sure of’. Is this how we formulate major elctoral law reform? What I refer to is the lack of any proper public consulation, white paper, cross-party consultation or opportunity for people or various groups including the unions, Law Society, HRC to advise and contribute to what is a serious piece of legislation. The legal advice from Val Sim (have you read it?) which assserted the Bill is in concurrence with the Bill of Rights Act – that is being challenged in court as we speak. If you are happy to have legislation cobbled together behind closed doors, then fine. If that makes me an extremist, hand me the duct tape. Most of the features that are leading to the EFB et al are implied in the shift to MMP in the mid-90’s. Political parties are no unable to concentrate on a handful of marginal electorates (like we can see across the Tasman at present). It means that the effective start of the eelectoral campaign has been starting earlier so the whole of the electorate can be covered. Effectively the campaign for 2008 is starting now. In 2005, the Nats started their campaign about the start of 2005 when the Leader of the Opposition’s communications budget was used for the Iwi/Kiwi billboard campaign. This would have been considered election-erring under the current act if it’d been done in the 3 months leading up to the election by the AG. Regardless whatever else you or I think about Nicky Hager – the e-mails published make that early campaigning quite clear. That plus the covert campaign by the Brethren have led to the implementation of some long-standing suggestions for reforms of the electoral system. Offhand (ie I didn’t look it up), I think all of the features in or proposed for the EFB have been suggestions in every review of the electoral system from the 1980’s onwards. In particular I recall the extended election period as being part of the MMP recommendations that were rejected by parliament as probably not being required. As I understand it, even the Nat’s don’t object to reforming the electoral system in the light of the last 5 elections – they just want to have a bigger say in it. The EFB etc bills are not ‘suddenly’ happening and being shafted through parliament. Our reps are choosing from pick lists from about 20 years of research and public input. I know that most of them have been debated in almost every political forum I’ve been involved in for 20 years. Frankly this whole hysteria about the EFB just reminds me of the ‘debate’ over dropping the privy council and shifting to the supreme court. The pro’s and cons of that were discussed in my law classes in 1981 and ever since then in many areas I get involved in from business to computing since then. It became a ‘sudden’ issue in 2004? because people that hadn’t gotten off their acre and participated in the decade long discussion couldn’t be bothered to actually sit down and catch up. IMHO – thats why we have a representative democracy – because most people are too damn lazy to do the work to have a ‘true democracy’. The EFB really doesn’t go far enough. I’d like some debate to start on shifting to a 4 year cycle. As it stands at present, government in NZ is starting to run out of time to put legislation forward in a considered fashion. Thats because one year out of three has everyones attention focused on things that have bugger all to do with actually running the country. Plus everyone politicians, activists, journo’s etc are exhausted for about 6 months after an election. rOb – I thought I’d implied that – with an aging population you wind up with more need for public services. Taking the cynical viewpoint on it…. Education – so people are are capable of paying more taxes from a more efficient economy. Health – so people are capable of paying taxes for longer. Just working into your 70’s when you want to helps a lot. There is a guy where I’m working who is doing exactly that because he couldn’t figure out what to do with retirement. Infrastructure – so the economy is more efficient in generating disposable income. Finally of course an increasing retired population who soak up the disposable income of everyone else…. Funny that only 1000 – 2000 people turned up to protest when ‘our democracy is seriously at threat’, even with nationwide radio ads. Most groups cannot afford paid ads to to advertise their march so 1000 seems really pathetic in a city of 1 million. You would think/hope that if ‘Hitler’ or ‘Stalin’ had overtaken the country you would get a few more. Shows that those who opposse the EFB are only a very vocal and in many cases rich, minority. Great that all the hysteria shown by the herald on Monday has swayed mass opinion into believing the rubbish they are printing. I think I skimmed it. I read yours too. r0b i wonder if Lee C’s really that ignorant or just faking it? It’s impossible for us to tell if this extreme criticism of the select committee process is (a) a genuinely passionate belief that an evil government is bent on extinguishing free speech, or (b) the calculated and cynical use of a populist issue to beat up on the party that he hates, or (c) some point in the middle of that spectrum. Only Lee C knows for sure. You know, I’m a big fan of free speech. But I don’t call myself a libertarian like say Farrar does, for instance. I go way beyond that. I am such a big fan of free speech that I prefer people use it in a logical, rational and truthful manner. To me the pollution of words with deception and hysteria is as bad as oppressing truth. In fact, they’re the same thing. I’m fascinated by opposites lately. You could say the opposite of libertarianism is authoritarianism. To lie to me about the EFB, about elections and about reality in general is to claim authority over my mind and my own voice. Lie and spread delusions about the EFB all you like, but you’re behaving in a fascist manner. It only makes sense to accuse the other side of all the things you are guilty of: hence “Helengrad”, Hitler comparisons and accusations of fascism directed at the finest, most accountable democracy in the world. Political beliefs aside, I’m a big fan of democracy and in turn the EFB. Some of you people don’t deserve to be here. Stop trying to rule others with lies. The EFB in its final form will protect democracy from those who would like to rule without authority and it cannot fail. Nih, if you are not already an Orwell fan, you need to read “1984”. r0b, i choose b. as you said before it’s a bit odd making a select cmte submission, usually something only those with a bit of procedural knowledge bother with, only to then turn around and go all faux-feral. “faux-feral” – sprout, you and the bean sure do have a nifty turn of phrase sometimes! Oh, and thanks for you (via your vids) putting me on on to Joanne Newsom too. AncientGeek – thanks for that excellent contribution. The blogging demographic is young, and it is great to have your rather longer term perspective on events. (I’m not young either, but you’ve clearly been paying attention to the political process for longer than me). Yes AncientGeek, thanks for your contribution. I enjoyed reading your post. If the EFB “doesn’t go far enough”, what else would you do with it? This is a bit unrelated, but there seem to be a lot of Act supporters on KB suggesting that every party be given equal broadcast time. The rest of the right-wingers there don’t seem to like that idea. The time isn’t here yet, but eventually the vast majority of election advertising will be done online. Coverage won’t be as limited by budget as it is now. At the very least a government-hosted website giving equal face time to each party and each candidate would be a good start. So 58% of people want more money spent on public services. So how many were happy about hospital waiting lists being slashed at record levels last year to get such a great surplus in 2007.
i’d say any sane person would be happy to see hospital waiting lists slashed burt. I believe Burt means waiting lists that had patients removed rather than treated. Really though Burt, it’s not a question of where you think the money came from. That sort of deceptive thinking doesn’t add value to the conversation. The big discussion should be where it can go. I’m in favour of injecting it back into social services where needed. If there’s anything left over, put it into grants for new businesses. So are you somebody who normally ignores the deeds of a political party but listens to their rhetoric? If Labour say they plan to use the surplus to reduce waiting lists (a few extra cents tax to fix health and education… 8 years ago in 1999) sounds like the sort of thing you would vote for again in 2008 taking no notice of the last 8 years of patients being endlessly sent back to their GP and/or dying on the waiting lists waiting for treatment. I have enjoyed nothing but excellent healthcare from the government in my lifetime, contrasted by substandard care when I’ve paid for it from my own pocket. You want to make sure your own rhetoric is correct before basing arguments on it. In short my personal experiences will always hold more water than your anecdotal politically-driven crap. Anecdotal… Ha ha. Unless you are only 8 years old then you are possibly also taking about care you received during the failed policies of the past. burtie, dearheart. the waiting lists have actually reduced substantially under this government for most procedures, even if you add back on those who were removed from lists via reclassification. you haven’t been relying on the Herald for your facts now have you? and i agree with nih’s observations about the private sector alternative – over-priced and under quality. god, whenever anything gets a bit complicated they ship you straight off to a public facility. you do know that don’t you burtie? Do you have some facts to back up your assertions or are you just telling it like you wish it were? A link to a Herald story would do. Just out of interest, you comments makes it sound like you think removing people from waiting lists via reclassification is a perfectly reasonable thing to do – are you really this myopic in your support for Labour ? Would you support National slashing people off waiting lists because they had grown so long that it was embarrassing? burtie dearest, are you sure you haven’t been relying on the newspapers to “inform” your opinion? Rob. your trust in our politicians is touching. I will explain to you one more time so that you might be able to understand why I am opposed to the EFB Bill. The recent terrorism ‘charges’ which were thrown out of court because the law was so badly written it made a laughing stock of the whole process. What if they had succeeded and killed say – Michael Cullen? Then the case got thrown out because the law was writtten so badly, it would’nt withstand a challenge from the UN or Court of Human Rights? Law Society’s view is the EFB badly the EFB Bill has been so badly drafted the only way forward is to scrap it and rewrite it. The Human Rights Council recommend scrapping it and engaging in proper public consultation before the (proper)Law is drafted. The Select Committee – yes I (to my eternal shame – it appears in your opinion) made a submission. If I had not, what would that have made me if I didn’t agree with the Bill? Have your cheap laugh, milk it for all it is worth. The Select Commitee is supposed to fine-tune and advise on teh finer points of a Bill in its final stage, after it has undergone the proper procedures of drafting.. Not re-write incompently drafted ones, for the purposes of political expediency. There was no White Paper, no public consultation, no cross-party consultation on the original drafting of the Bill, which is usual in cases of electoral reform. The Bill of Rights advice from Val Sim which the government rely on, was so badly drawn that it is enjoying a legal challenge as we speak, and certainly did not concur with the Human Rights Commission’s submission to the Select Committee. That’s my opinion = also see the shameless cutnpaste below also. First, the failure to consult with opposition parties before introducing the Bill to the House leaves it vulnerable to allegations of partisanship. Electoral law should not be, nor be seen to be, a vehicle for one party to gain an advantage over others. Second, there was inadequate consideration of the Bill’s effect on the individual rights affirmed in the New Zealand Bill of Rights Act. Consequently, the original measures introduced into the House contained what are now widely agreed to be excessive restrictions on free speech. Third, by failing to address the problem of large, anonymous donations to political parties, the Bill ignored one of the most pressing problems with our electoral process. The fact it imposes significant restrictions on fundraising by all other electoral participants makes this basic failure even worse. When are you going to stop treating people who are concerned about democratic principles like they are the enemy within? I also thank those of you who say I am ignorant/faux-feral. In this context, I will take it as a compliment. And yes, in case you are still wondering the answer, 100%, is a). Perhaps tomorrow I will change my mind, but that is a right that I am willing to fight to preserve. But don’t worry as long as you feel you can belittle small-fry like me, you won’t have to face the simple fact that the Labour government has made such a mess of this piece of electoral reform, that people are protesting it is a denial of their freedom of speech. Imagine if no one had submitted a counter view at the Select Committee, then the original version would have sailed through. But you would have been ok with that, wouldn’t you? Burt (re post above Lee C’s) – the sprout may be away germinating quietly tonight, but I’ll have a go at partially answering your questions (though Health is not my area). First up, NZ has an excellent health system that rates well in international surveys. Waiting lists for elective surgery are the most obvious weak point in the system. They constitute a small proportion of what the health system does, but because they are the weak point, they get all the political attention. And rightly so. But let’s keep things in perspective, we’re discussing a smallish part of a generally excellent health system. OK then, I’ll stick to your favourite news organ. All the links below should start with http://www.nzherald.co.nz (I’m breaking them up to avoid exceeding 2 links and thus triggering the moderation queue). So there y’go, its not simple is it Burt. It’s certainly possible to pick holes (and yes there’s heaps of critical stuff in all those Herald links above), but be honest and admit that NZ has a world class health system. It has always been there for my family, and I am very grateful. Hi Lee. You and I are going round in circles now, so this is just a brief reply. “Rob. your trust in our politicians is touching.” I don’t necessarily trust politicians, I do trust NZ’s democratic mechanisms. “The Select Committee – yes I (to my eternal shame – it appears in your opinion) made a submission.” I don’t think its to your shame at all. On the contrary, good on ya. I just don’t know why you bothered if you think the process is just a facade for evil Labour plotting. “When are you going to stop treating people who are concerned about democratic principles like they are the enemy within?”. Not at all sure that I have ever done such a thing Lee. I’m not an aggressive person. “But don’t worry as long as you feel you can belittle small-fry like me”. You seem to see yourself as some kind of victim Lee. Aren’t we all small fry here? It has never been my intention to belittle you, and I do apologise if anything I have said has given you that impression. Goodnight. Thank you for your apology rOb. I take it in the spirit it is intended. But no,i do not see myself as a kind of a victim. To my mind victims suffer in silence, and I refuse to do so. I am sad that it this has caused people to attack me, but hey I got broad shoulders. 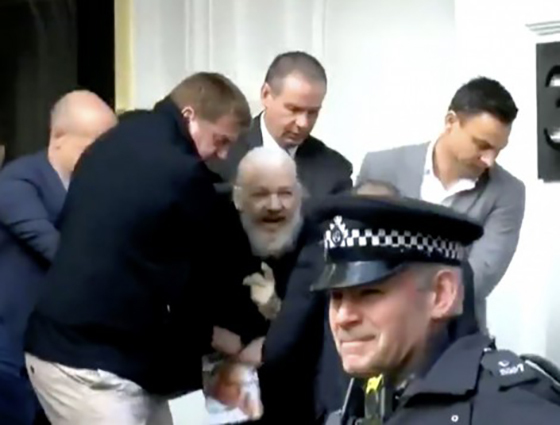 Socrates was told by the state to commit suicide because he’d been spreading ‘subversive’ ideas, after a lengthy court case..
“I’ve had a good life in Athens. When the state passed laws I disagreed with I was quiet. This is why I submitted, and why if it is a bad law, I shall feel I can protest against it with a clear conscience. The ‘enemy within’ argument was not directly to you, sorry. It was to some of the poeple who appear to get off on ridiculing the age and socio-economic grooup of the protesters ot the ‘Granny Herald’ as ‘political organ of the National Party’. New Zealand has a marvellous history of electoral reform, including the introduction of MMp, universal female suffrage. This EFB is a blot on that copy-book. sprout – no problem, I learned a lot working on it, which is why I’m here really.